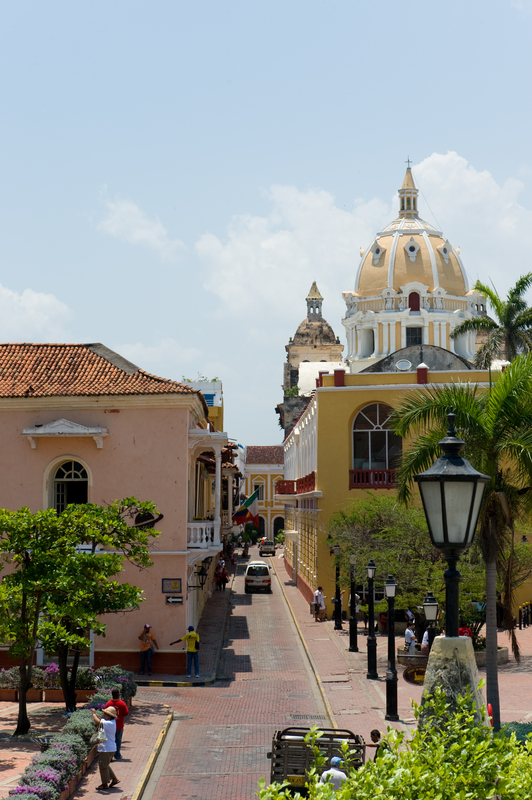 Cartagena is officially one of the most beautiful cities I have ever visited. I cannot wait for Laura to develop these photos so that I can blow them up on canvas and re-decorate my entire house. 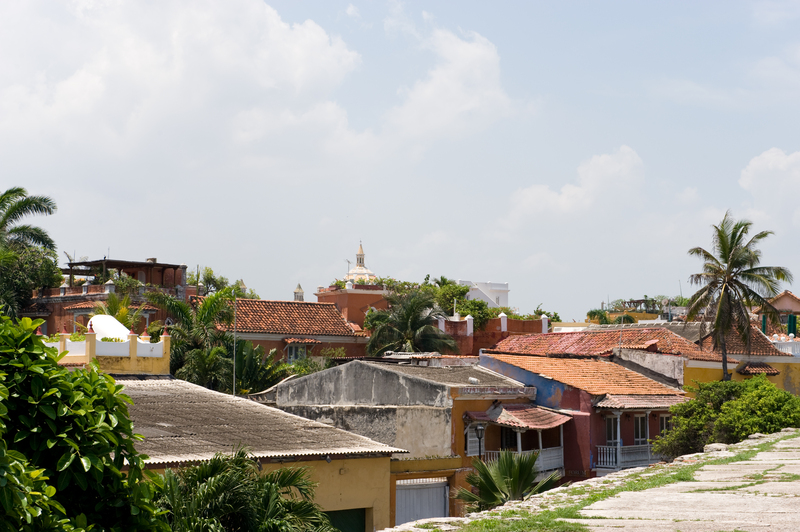 This morning we slept in, covered our poor sunburnt bodies as best we could, and headed out to the old part of the city. 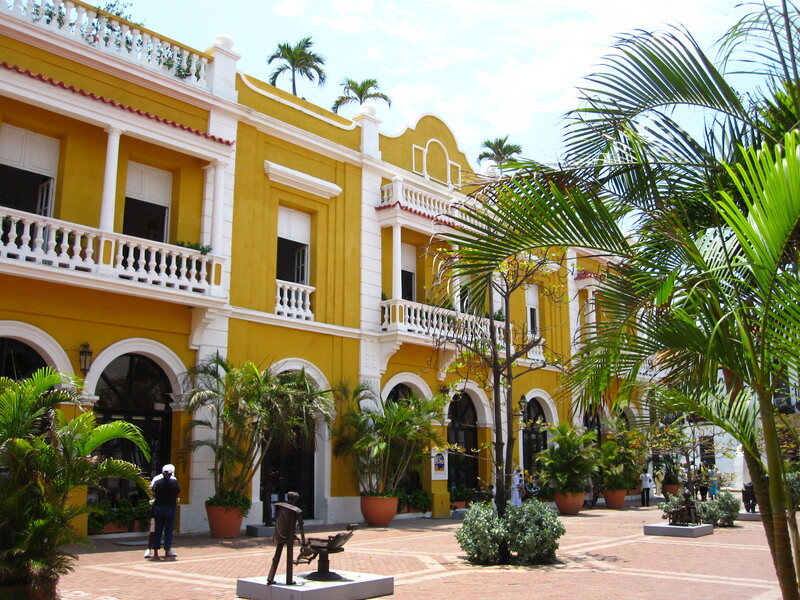 What we discovered were the most breathtaking colonial buildings, painted in all the colours of the rainbow. 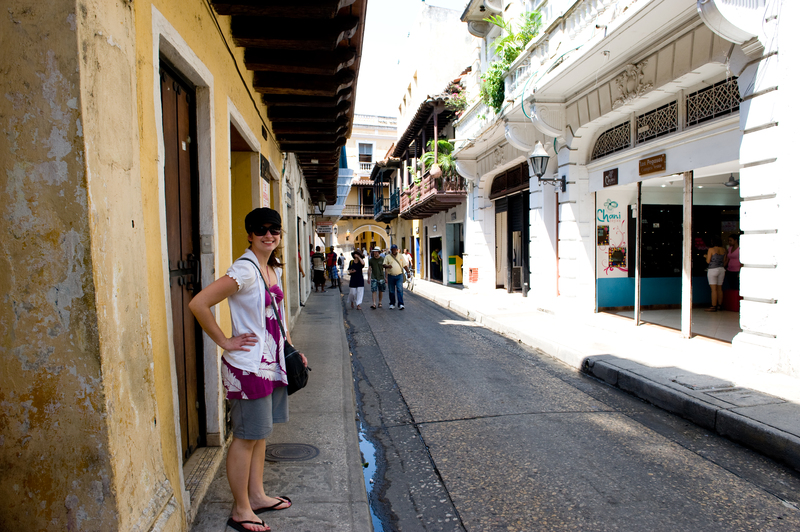 We took our time wandering down the quaint little streets,occasionally stopping in the little shops to get a break from the beating sun. Laura has a minor case of heat stroke but she was a trooper and lugged that heavy camera bag around on her scorched shoulders for hours. We stumbled upon lovely churches and squares and walked along the outer wall of the city. The views were fantastic. We visited the museum of Modern Art, although we will both admit that the air conditioning was more appealing than the art. We decided to plunk ourselves down on a bench for a solid 45 minutes; 2000 pesos is a small price to pay for shade, fans, and solitude. Don’t get me wrong… I still love my hot climates but I also know my limits. This humidity takes some getting used to. 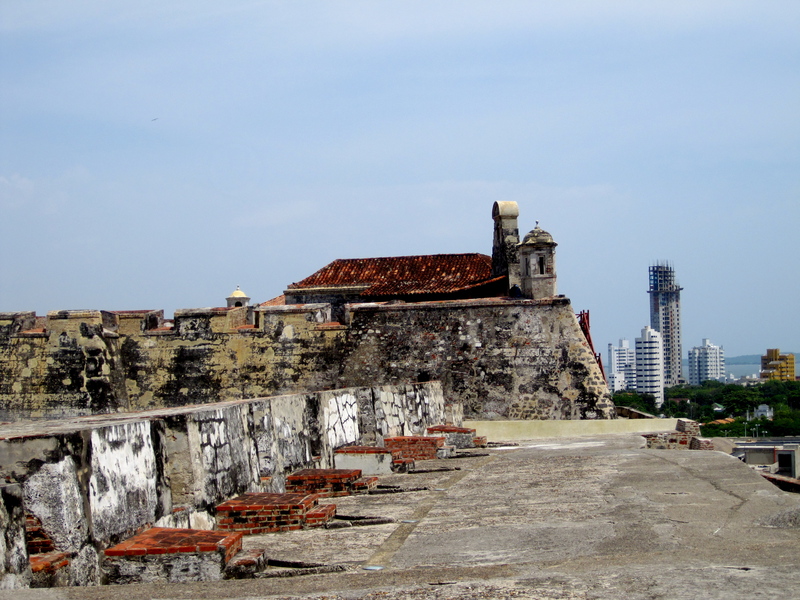 The grand finale of our day was a trip to the Castillo de San Felipe. We enjoyed incredible vistas as per usual, and found several places to beat the heat. 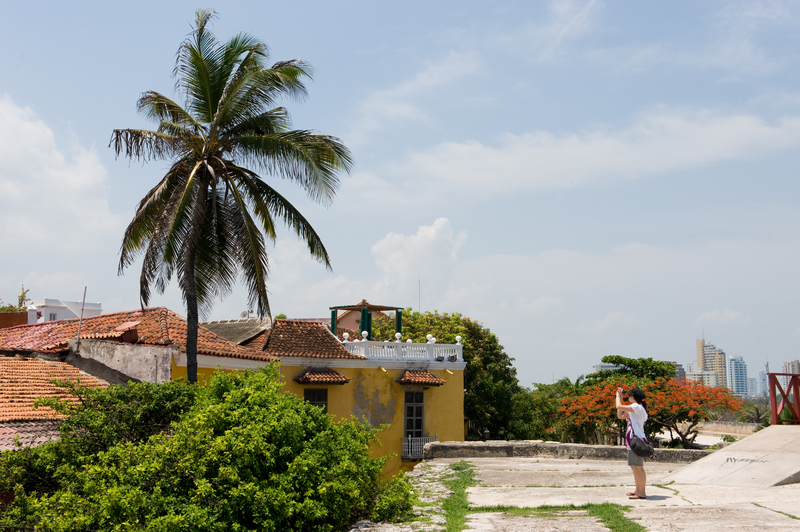 Our new favourite pastime is also taking photos for other tourists. It´s a nice gesture and we usually get a photo out of the deal as well. Plus, we have become a little stockerish when it comes to white people. We are such a minority that we feel a strange kinship to anyone that shares our pasty complexion. Ah… the ties that bind. By around two o’clock we needed to get out of the sun and find some food so we headed back to the hotel. I literally felt like my skin was melting off. Here, we shower frequently and in cold water. 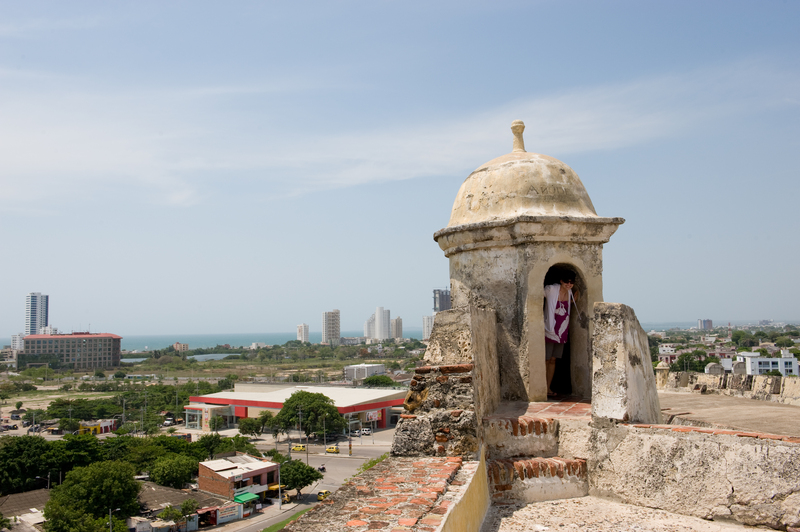 I have never enjoyed a shower so much as in Cartagena. 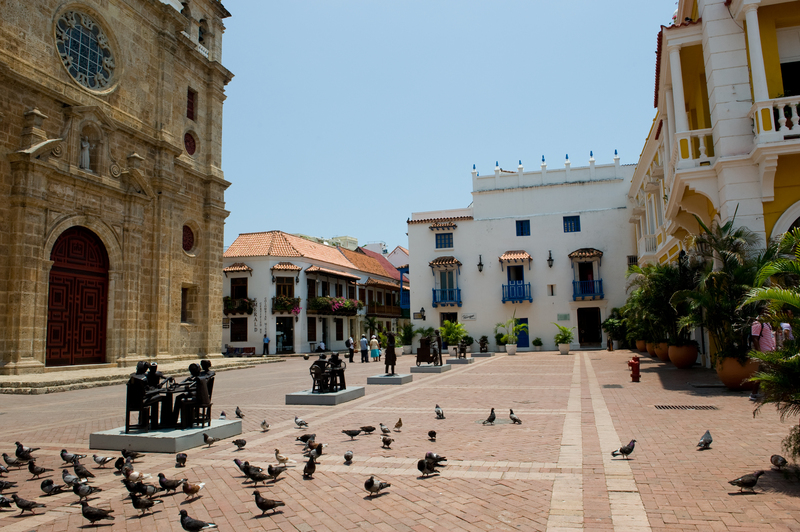 We plan to hit the streets again tonight when the sun goes down for our last evening in Colombia. We have both come to love this country and its people. I don’t say this often (because there are so many countries I have yet to explore) but I will definitely be returning to Colombia. I don’t think I could leave if I thought this was goodbye for good. 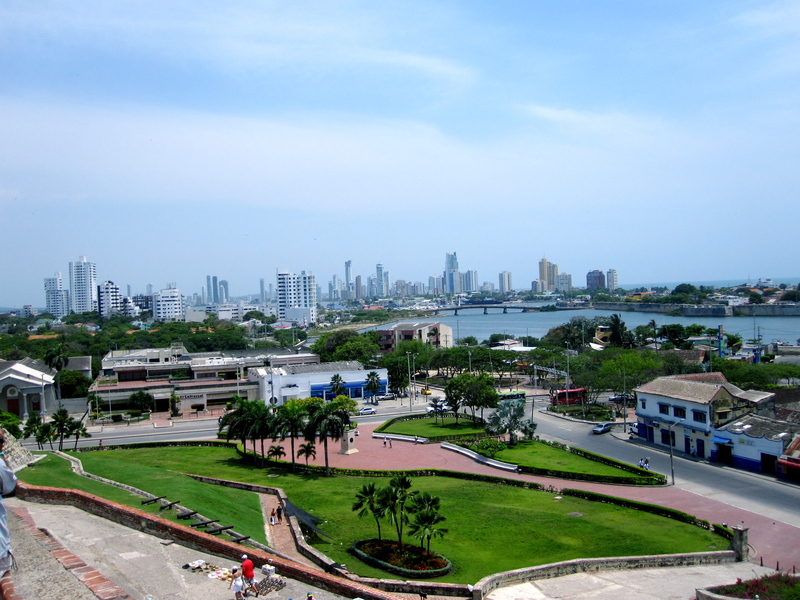 That’s all for now… next stop: Ecuador! 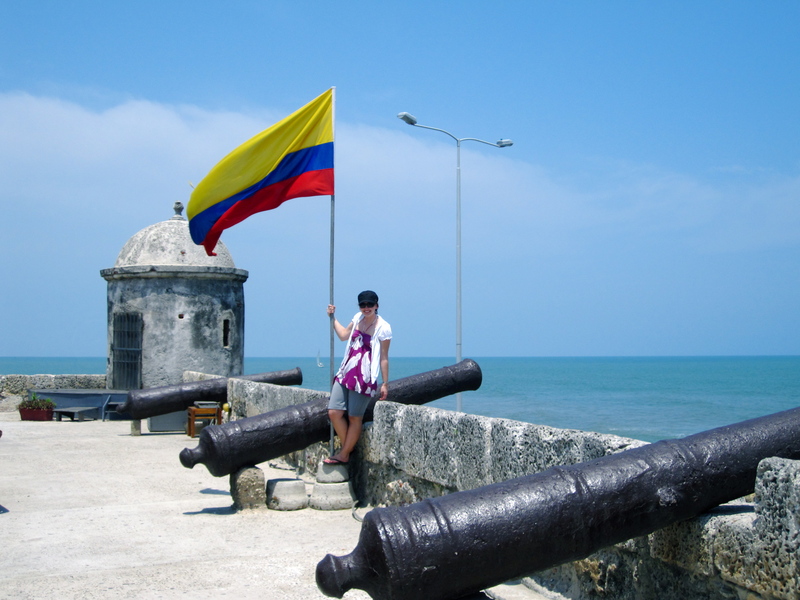 This entry was posted in Colombia, South America and tagged Cartagena, Castillo de San Felipe, Colombia, Modern Art, Museum. Bookmark the permalink. Thanks for the update! What a wonderful review of the country!! You should get paid to advertise! Sounds like I need to put Columbia on my travel list as well!! Who knew??? 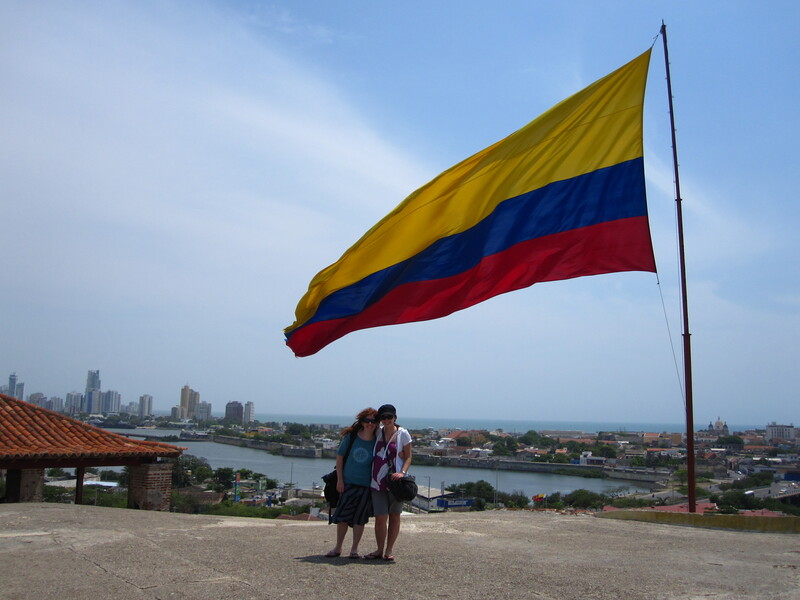 I am so glad that you have such a good impression of colombia, you have to make sure that the Menno team reads your blog. Wish you the best for Ecuador.